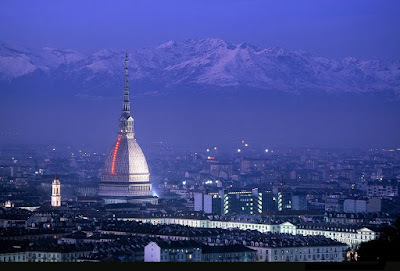 Special thanks to the ISI Foundation for the use of their photograph of Turin. I recently visited Turin and fell in love with it all over again. Its a beautiful city with large promenades, city gardens, beautiful buildings such as the Mole Antoneniana, etc. etc! The city itself has the Alps on one side and the Po river that runs to its east side. It is also full of wonderful museums, galleries, is home to the Holy Shroud, home to Fiat and Lancia, the FC Torino and Juventus (and much much more). To a foodie none of that really matters because Turin has wonderful FOOD and WINE. The city itself has many beautiful caffés where you can try their famously thick hot chocolate and fantastic bicerin. In the evening head out for their happy hour, the goodies they lay out are a sight for sore eyes! There are many Piedmontese specialties you should not miss such as bagna caoda and the plin. Check out this guide for a list of those things you should not miss and where to enjoy them. However, before you leave Turin you MUST stop by EATALY . It is a market and restaurant of the best Italian foods. It naturally includes all of the Piedmontese foods and wines, but you can also eat amazing Pizza. It is extremely difficult to describe Eataly because it has everything: kitchen gadgets, pastry shop, ice cream shop, bread shop, beer bar (where you can drink and eat something with your beer), there is fresh produce, cheeses, meats, seafood, a spice area, wine area where you can also buy unbottled wine, you can also buy a whole round of parmigiano or grana padano cheeses, a whole leg of pata negra ham, areas with regional specialties from all over Italy, there is the museum of Carpano and Punt e Mes liqueurs, a library and an internet point. In addition, they have a restaurant in the different meat, seafood, beer, bread/pizza area. This is also the perfect place to buy foodie gifts before returning home. Last but not least, between 23 and 27 of October 2012, Turin will be hosting the Salone Internazionale del Gusto which has to be Italy's largest showcase of the best food in the world. It is SlowFood's main and largest event http://www.salonedelgusto.com/. There are many opportunities to participate in Cooking lessons with some of the world's best chefs. See you there! Cooking courses and tastings to learn, to improve and to remember because reading about it is not enough. Because side-to-side comparisons teach us more and help us better appreciate commonly-imitated products. Italian cooking lessons. 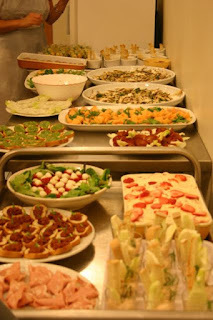 Participants will learn how to successfully prepare several dishes. Each participant receives a recipe booklet and at the end, eats the dishes prepared with specially selected wine. Request a course just for you or your group. Balsamic Vinegar tour – Visit the attic of the houses where the Modena Traditional Balsamic Vinegar is produced the old fashioned way. Learn the difference between the different types of this precious condiment different vinegars and how to avoid purchasing expensive and mostly industrial products. Tastings of the different vinegars included. Wine Tours - Visit Emilia Romagna’s most important winery’s : At each estate taste 3-4 typical wines from the Emilia Romagna region with snacks included. Parmigiano-Reggiano Cheese Tours - Discover where world famous Parmigiano Reggiano Cheese is produced. Tour factory and taste different Parmigiano agings. Salumi - Visit and taste the Salumi Emilia - Romagna is famous for; Prosciutto crudo, Culatello, Mortadella, etc. 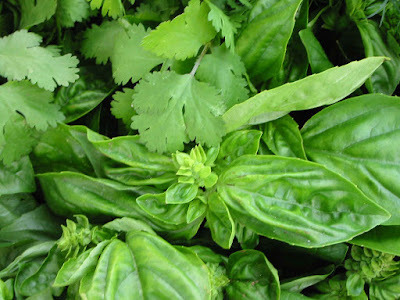 Fresh herbs are fantastic and summer is when herbs are at their peak. How can we continue enjoying their summer flavor well past the warm season? Some people resort to dry herbs but I find that most dry herbs are a pale comparison to their fresh counterparts. The difference in flavor is great: dry herbs have no range or ting in flavor that is typical of fresh herbs. A typical solution is to plant some in our garden (if we live in mild climates) or to keep some potted herbs indoors. For some people, this is impossible, either because they don't have a garden or enough space for potted herbs or because they are not able to keep any plants alive. In my case, there are more herbs I want to keep around than actual space to keep them in, so I have found a solution that works wonders: Freezing! Freezing preserves the color and all the range in flavor that is typical of fresh herbs. A few months ago, I made a spelt and lentil salad and added a lot of frozen thyme; as I separated the tiny leaves from the branch I could smell its wonderful fragrance. Just like fresh. I tasted the salad and it was heavenly! Choose clean plants. Herbs are delicate and should not be washed or rubbed because you would remove important essences from the leaf. Ever notice how when you rub an herb with your fingers, you can continue smelling it for awhile? If you rub your herbs, you'll leave precious essences on the paper towel! At this point you might as well use dry herbs. Never wash your herbs before freezing, they get mushy! For small leaf herbs such as thyme, oregano, dill, savory and cilantro, plan on freezing the branches or entire plant (roots removed). For large leaf herbs such as basil, sage, laurel, wipe gently (don't rub) with a very soft, clean cloth ONLY if necessary. I suggest checking the undersides of sage and basil leaves. Wrap herbs in a paper towel, which absorbs any humidity and avoids ice crystals from forming on your herbs, and place in a large enough freezer bag and seal, removing excess air. Put in freezer. Use only what you need. Remove the needed herbs from the freezer and replace container in freezer immediately. If the herbs start unfreezing, they turn to mush. Remove herbs from freezer right before using them. Stock up your freezer with herbs now to enjoy summer goodness all year round! And to make those just picked herbs last longer, they will last longer if you place them in a glass of water. Change the water everyday, just like you would do with flowers and you will see that this treatment will keep your herbs fresh for several days. We would like to thank www4.ncsu.edu/~aibrantl/cookingwithherbs.html for the use of their image. Although I encourage my students to leave a comment on TripAdvisor page, many prefer to write to me an email. I have posted their notes here. I just wanted to drop you a line and let you know how great a time my husband and I had cooking with Alex. She was knowledgeable, relaxed, and a pleasure to spend the day cooking with. "Dear Maribel, It is just a few hours after our lesson. I wanted you to convey our thanks to Joanna. She was excellent! thorough, at ease, interestingand her effort really showed through. I also wanted to thank you for opening up your lovely home to us. there are not too many people who travel to Italy who can say they went to a personal home to have a cooking lesson . I just wanted to thank you for a wonderful experience last night. You were the perfect instructor, the course selection was fabulous, the setting was great and the way you teach…well I just can’t say enough. I have attended several cooking functions in the past with some very well-known celebrity chefs and you are by the far the best. Thank You again for just a great evening and please let me know when you will be back in the states as I would love to attend anything you might be putting on." It was so nice cooking with you! We had so much fun....thanks again. So exciting about your being in the NY Times! Congrats! Thanks for the recipe. Yum! Hi, just wanted to let you know that I made your Bolognese Ragu tonight for dinner, it was just delicious! I am now ready to serve it to my friends. Thank you so much. I like your website, I visit it often, I feel like I'm visiting with you! Ciao for now. Cindy, New Jersey. Hand made tortellini, traditionally made with a mixture of Parmesan cheese, Prosciutto, Mortadella and pork loin. Served in home made broth. “I had the wonderful opportunity to bring a group of students from the Univer sity of Denver in Colorado to a cooking and tasting class arranged by Maribel. The class was a unique mix of students and people from Bologna. The spread before dinner of the Summer Cookery class.